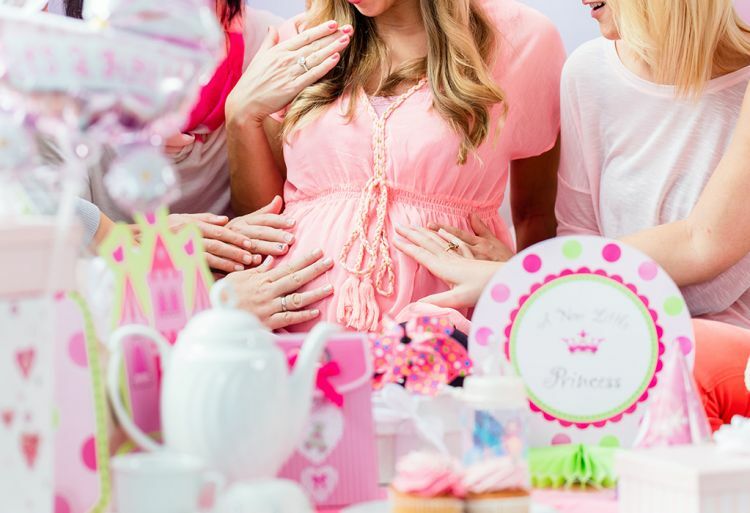 As an expecting couple, one of the most exciting events will be your baby shower. This is when you’ll be able to celebrate the near arrival of the latest addition to your family. It’s also a time for you to fawn over adorable gifts given by friends and family members. With that being said, just like any other large celebration, there is some baby shower etiquette to take into consideration. If you’re wondering how soon you should have a baby shower and who should pay for it, use this guide to help. The first thing you need to do is think about when you want to host the shower. In all honesty, this is up to the expecting mother, as she’ll need to find time in her schedule. Most baby showers are held before the baby is born, however, plenty of parents host a shower after the arrival of their newborn. If you want to stick to tradition and have the party before, it’s recommended you plan it for 4 to 6 weeks before your due date. This is easily one of the more awkward parts of planning a baby shower, especially for first-time parents. Similar to a bridal shower, the hostess is the person who traditionally pays for a baby shower. With that said, they can also ask for help from other people who are close to the expecting mother. With most couples, family members will step up and offer to take on the task of planning the shower, however, this is not always the case. Typically, the person who has the baby shower at their home or who does all of the planning will also have the largest financial stake in the party. If you’re the type of person that doesn’t like other people doing everything on their own, you can also help to invest in the event. In all honesty, you could pay for the entire thing if you want to! Another fantastic idea is to set up a private online fund for your shower. That way, you don’t have to go to individual people to ask for money to help with the hosting costs. All your guests need to do is visit a website, deposit an amount of money they’re comfortable with, and you’ll know what your budget is. Here are some of our other favorite shower tips to take into consideration. ✓ Who is invited to the baby shower? When you’re getting ready to send out invitations, you’re first going to need to think about who you’re inviting. This is mostly dependent on what the soon-to-be mother wants, however, there’s a general rule of thumb. Most showers are filled with female attendees, especially if you follow the traditional invitation lists. However, you can always mix men into the party as well. Our recommendation is to talk to the guest of honor and see what she would like to invite. This will give you a clear idea of who to send your invitations to. ✓ Should the dad also attend the shower? Again, this is all based on what the guest of honor prefers. Just keep in mind that if the dad is invited, everyone else’s spouses and significant others should be invited as well. This could lead to doubling your guest list, but it also helps to create a more comfortable co-ed environment. If you want the party to be more of a female bonding experience, you could always have the expecting father show up to the event close to its end. Similar to a bridal shower, he could arrive with flowers for the expecting mother so he’s somewhat involved, but not too deeply. 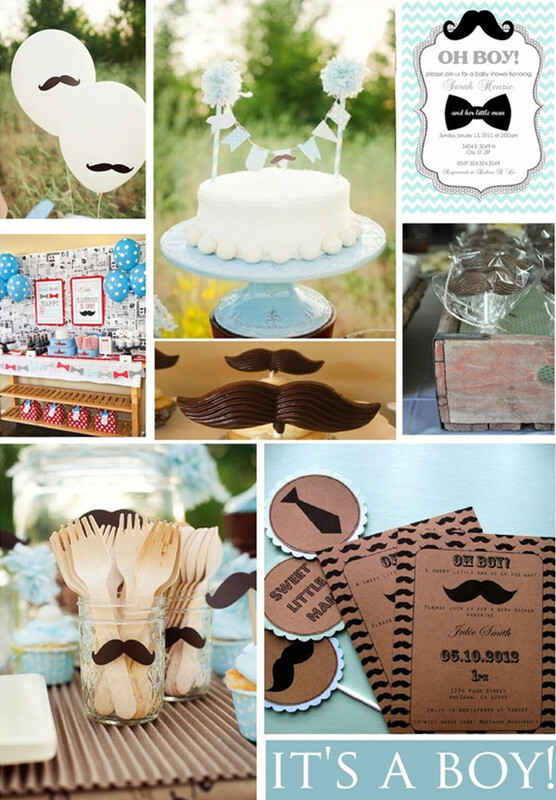 ✓ Do you need a theme for a baby shower? Themes are a fantastic way to make decorating easier and to create a seamless aesthetic for an event. You’ll find that planning a shower will be 100 times easier if you have a theme in mind. Finding decorations will be simpler, choosing the right canapés and desserts will take far less time, and you’ll be able to create some spectacular invitations. Not to mention the mom-to-be will feel incredibly special that so much thought and effort went into the event. There are hundreds of different themes you can choose from ranging from safaris to outer space exploration. Another great idea is to consider the theme of the nursery and use that to your advantage. This will also give the guests an idea of the type of presents they should bring with them. ✓ Should you make a registry or not? As another aspect that is similar to a bridal shower, doing a gift registry is one of the best things to do for a baby shower. It’s far too often that the new parents have an onslaught of items that they don’t actually need. They either wind up with too many (or too little) diapers or too many clothes. With a registry, you’re making the shopping experience much simpler for the guests. We highly recommend using an online source such as Amazon to create a registry. When a guest purchases a gift, it will automatically be sent to your home. ✓ What activities should be at a baby shower? Baby showers are a mixture of laughter, tears, and memorable moments that the soon-to-be mother will remember for the rest of her life. Therefore, you’re going to want to have a mix of a variety of activities for everyone to enjoy. Not only will you want a fantastic assortment of drinks and treats, but you’ll also want great bonding experiences. You’ll need to find cute (and quick) games that are easy to organize amongst all of the guests. You’ll also need to make sure there will be enough time to open all of the presents. Not to mention everyone will want to have time to talk to one another and express their excitement for the new baby. Planning a shower can be simple once you know who’s paying for the entire event and when it should be hosted. Once you have a theme in place, you can start planning to your heart’s content. With the help of this guide, the process will also be much simpler for you to take on.